Hotels-New-Zealand is a group of independently owned and non-related hotels, motels and serviced apartments providing accommodation located across Auckland New Zealand. Hotels New Zealand allows you to deal directly with the hotels giving you the best possible rates for these Auckland hotels. 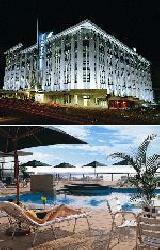 Book your accommodation online directly with the hotels in Auckland and save !!! The Quadrant Hotel Auckland provides travellers to New Zealand's largest city with the latest in accommodation design and style, with rich interiors seamlessly blended with modern technology. The Quadrant Hotel Auckland boasts a fabulous, central location only metres from the Auckland CBD, High Street fashion shops & restaurants, Sky City entertainment centre and Auckland University. 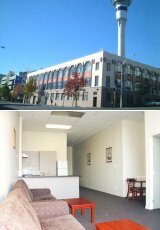 This places this affordable 4 star Auckland accommodation right where you want to be. The innovative use of space and contemporary design means that the studio, 1 and 2 bedroom apartments are comfortable and have that special home away from home feeling. Each of these Auckland apartments as it's own private louvered balcony with views of the Waitemata Harbour, city skyline or Albert Park. At The Quadrant Apartments guests can enjoy the leisure facilities including the gym, spa and sauna or the stylish Quad Bar which serves creative cocktails and the best New Zealand wines as well as simple but elegant meals. 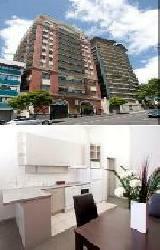 Great value for money apartment accommodation in Auckland, New Zealand. A refreshing haven from the bustle of downtown Auckland the Rydges Harbourview Auckland provides guests with 4 star luxury hotel accommodation which is ideal for both business and holiday. With the heart of beautiful Auckland city at its front door this Auckland accommodation is just a short walk to the Casino and the Viaduct's thriving bars and restaurants. The smiling, attentive staff will put your needs first throughout your stay and ensure that you enjoy a unique and refreshing hotel experience. The newly revitalised hotel rooms at this Auckland accommodation are sylish yet affordable and each one is air conditioned and includes a specialised workstation with broadband access, safe, private bathroom with bath and a 32 inch LCD television with cable TV and Pay Per View Movies. All of these Auckland hotel rooms enjoy views of the inner city, while some enjoy sweeping views of the Auckland Harbour Bridge and the picturesque Waitemata Harbour. More than a just a place to stay the Rydges Hotel is a welcoming hub offering genuine hospitality and a friendly atmosphere within this luxury Auckland accommodation. Smart travellers have for years been enjoying the home away from home feeling that the Auckland Harbour Oaks Apartments are reknown for. These 4 ½ star apartments provide luxury Auckland accommodation right in the heart of New Zealand's premier city. At the Auckland Harbour Oaks Apartments you can choose from the comfort and privacy of a studio or 1 bedroom apartemnt to the space and style of the family sized 2 bedroom apartments. This affordable New Zealand accommodation includes a fully equipped kitchen & laundry, high speed internet access, reverse cycle air-conditioning, TV, DVD & CD player. The Oaks Smartstay Apartments Auckland is conveniently located just an easy stroll away from Queens Street shopping, Sky City entertainment complex, cafe's and restaurants. 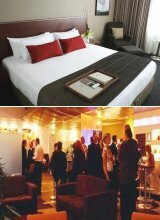 Luxury Auckland accommodation for the business and discerning leisure traveller. Rendezvous Hotel is defintely one of the premier hotels in Auckland, with it's large atrium lobby, attention to detail and the highest possible level of customer service. Located in the very heart of cosmopolitan Auckland, a stay at Rendezvous Hotel places you within walking distance of some of the city's finest dining, shopping and entertainment, including Queen St and the Viaduct Harbour. This Auckland accommodation is also linked via an underground tunnel to four of Auckland's most significant venues - Aotea Centre, The Civic, Auckland Town Hall and Aotea Square. Rendezvous Hotel Auckland features spacious hotel rooms that are filled with light and offer sweeping views of the city's landscape from huge floor to ceiling windows. With a range of accommodation rooms and suites from lavish Deluxe Rooms through to the ultimate indulgence suites the Rendezvous Hotel is a true international standard hotel offering fantastic facilities for both business and leisure travellers. Further hotel facilites include a complimentary inner city shuttle service, 24 hour business centre, 24 hour concierge, secure undercover valet car parking, gymnasium, health club, indoor heated swimming pool, large outdoor sun deck, sauna, Japanese rooftop garden and a variety of award-winning restaurants and bars including the Katsura Japanese Restaurant. The Quest on Eden provides serviced apartment accommodation that is ideally located on a quiet street in the heart of the Auckland city centre. Quest on Eden also has excellent hotel amenities including a fully equipped gym, indoor heated pool, full size tennis court, valet dry cleaning, restaurant chargeback, baby sitting service, Free airport transfers, tour desk and luggage storage. The Quest on Eden Serviced Apartments Auckland is the ideal base for your business or leisure stay because it is superbly located close to the University of Auckland, the Auckland High Court, beautiful Albert Park and the businesses in Shortland Street. It is also just a short 5-10 minute walk to the centre of the Auckland city shopping and business district, Queen Street and Vector Arena, Auckland's new indoor entertainment venue. The vibrant Viaduct Harbour area with its dozens of cafes/bars, Maritime Museum, and Ferry Building are also within easy walking distance from the Quest on Eden Apartments. Guests can choose from modern, non smoking studio, 1 and 2 bedroom apartments, all of which have been recently refurbished to the highest standards. Business and leisure travellers will appreciate the Quest on Hobson which provides them with a choice of studio, 1 & 2 bedroom self contained serviced apartments & penthouses that are located in the heart of the Auckland CBD within easy walking distance to the SkyCity Casino, the Auckland Art Gallery, the Auckland Civic theatre and many more Auckland attractions. The Quest on Hobson in Auckland is close to everything that the city has to offer, as well as having a numerous guests facilities and services including business centre, direct internet access, faxing facilities, fee pay parking and babysitting service. Quest on Hobson is a true home away from home and includes warm and friendly service from very professional and knowledgeable staff. 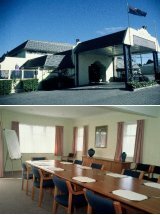 Silver Oaks Inn Silver Point is located in Mangere, Auckland, New Zealand and is ideally located close to the Auckland International Airport and only twenty kilometres from downtown city centre of Auckland. Both business and holiday guests will enjoy the position of this discount Auckland accommodation which is central to Auckland golf courses, a New Zealand vineyard and provides a courtesy coach to the Auckland Airport. All of the hotel accommodation rooms at the Silver Oaks Inn Silverpoint have direct dial telephones, Sky TV and in-house video channel, clock radio, refrigerator, work desk, tea and coffee making facilities and hair dryers. 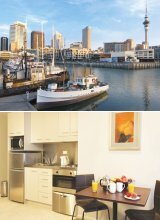 This truly is quality Auckland accommodation at budget prices with large discounts available for longer stays. The Heritage Auckland Hotel & Apartments are centrally located in the heart of the Auckland CBD and is just a short distance from the business and shopping district of the city. This Auckland accommodation is beautifully furnished with well appointed detail and is complete with world class facilities and friendly hotel staff. The Heritage Auckland Hotel & Apartments offers guests a choice of spacious hotel suites and self contained apartments with beautifully appointed polished wooden floors, nostalgic art deco furnishings and private balconies with magnificent city views. This luxury Auckland accommodation is an iconic landmark that is ideally situated on an elevated position in the centre of the Auckland city, overlooking beautiful Waitemata Harbour. The Heritage Auckland Hotel is conveniently positioned adjacent to Saint Patricks Square and close to the Queen Street shopping district and Sky Tower. The Heritage Auckland Hotel has the best leisure facilities boasting a tennis court, outdoor rooftop swimming pool, pool bar, spa, children's pool, fully equipped gym, indoor lap pool, spa, sauna, steam room, in house day spa centre, 2 restaurants, 24 hour front desk, bar, room service, tour desk and wireless internet. If you are looking for quality hotel accommodation in Auckland close to shopping centres, golf courses and the Auckland Airport then look no further that the Allenby Park Hotel in Manukau, Auckland. This affordable Auckland hotel is positioned just fifteen kilometres from the Auckland city centre and even provides a free courtesy coach for your convenience to and from the Auckland Airport. At the Allenby Park Hotel Manukau there is ample free off street car parking, an air-conditioned licensed restaurant and bar complete with room service, guest laundry and in-house conference facilities. With a range of accommodation rooms and discount rates available for longer stays the Allenby Park Hotel is the perfect place to stay on your next trip to Auckland. The Parklane Motor Inn offers studio apartments superbly located just 1 minute walk from the beautiful sandy Takapuna Beach with its great views of Rangitoto. Ideally positioned only a short stroll to all of Takapuna's shops, restaurants, cafes and exciting nightspots, the Parklane Motor Inn is the closest motel to historic Devonport. 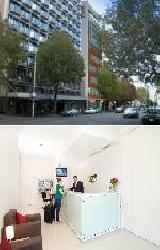 The Parklane Motor Inn in Auckland is close to everything that the city has to offer, as well as having a numerous guests facilities and services including business centre, child minding, direct internet access, free car parking, guest laundry, gym & fitness equipment, lift, room service, sauna, outdoor swimming pool, bbq, fee pay parking and daily housekeeping. The attentive staff, variety of facilities and the meticulous care in all the services offered will ensure your stay is as enjoyable as possible when you stay at the Auckland Parklane Motor Inn. The Oakwood Manor is a Tudor Auckland accommodation situated on 10 acres of park-like grounds and located only 5 minutes from the Auckland Airport. This delightful 3.5 star hotel offers hotel suites which are serviced daily and feature heating, colour Tv with free inhouse movies, telephone, Sky TV, full laundry facilities, kitchenette facilities with microwave, refrigerator & stove, wireless internet access, hair dryer and ironing facilities. The hotel facilities at the Oakwood Manor include a 24 hour front desk, outdoor swimming pool and indoor spa complex, restaurant, bar/pub and lounge, laundry/dry cleaning service, tour desk and safety deposit boxes. 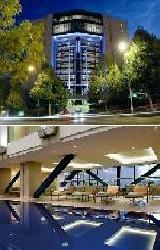 This value for money Auckland accommodation operates a free 24 hour courtesy coach to and from the Airport. If you are looking for Auckland accommodation close to the airport, golf courses and a New Zealand vineyard then the Oakwood Manor Motor Inn is perfect for your next stay. This unique Auckland airport accommodation is designed to appeal to business, tourist and leisure travellers. It is also ideal for people relocating to Auckland or are in airport transit. The Kudos Airport Apartments are conveniently situated within easy access to the Auckland Airport (only 2 minutes drive away) and to Auckland city centre which is just 20 minutes drive away. The Kudos Airport Apartments is also near to businesses providing services to the airport including logistics, freight forwarding and warehousing. The Kudos Airport Apartments provides travellers with spacious 2 bedroom self contained apartment accommodation offering Free continental breakfast, air-conditioning, fast broadband internet, fully equipped kitchen, full private laundry facilities and private balcony. Renowned for service, friendliness and professionalism, Kudos Airport Apartments Auckland offers free car parking, business centre, faxing facilities, luggage storage and airport shuttle. 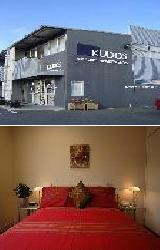 The Kudos Airport Apartments are suitable for long term stays as well as shorter visits to Auckland, New Zealnad. The Parklane Motor Lodge is ideally located in Epsom and is the closest Auckland accommodation to the (ASB) Showgrounds/EXPO centre and Alexandra Raceway. The Parklane Motor Lodge is further located right next door to the Greenlane Medical clinic and is just 4kms to the Auckland CBD, 6km to St Lukes, 9km to Western Springs and 11 kms to the Auckland airport. The Parklane Motor Lodge is a Qualmark 4 star motel hotel, offering a range of spacious and comfortable rooms with something for everyone. The Penthouse Spa Studio Apartments are exceptionally large rooms and are ideal for larger families. 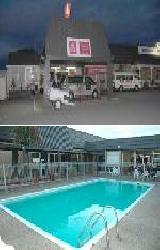 The Parklane Motor Lodge is the ideal accommodation in Auckland for both short or long term stays and features a large swimming pool, children's splash-pool, mini-gym, guest laundry, internet desk, luggage storage, babysitting/child services, business services and Free ample off-street car parking. There are many great cafes and restaurants a short stroll from this Auckland motel and the bus stop to Auckland city centre is just a 2 minute walk away. 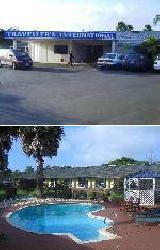 The Parklane Motor Lodge is perfect for corporate or leisure guests, families, couples or friends travelling together. The Airport Gateway Hotel is a clean and comfortable budget hotel that provides Auckland Airport accommodation with genuine, friendly Kiwi hospitality. This Airport Hotel is set in expansive park-like grounds and offers a free 24 hour airport shuttle service, comfortable 3 star hotel rooms, excellent service and the very best housekeeping standards. Providing great value for money the Airport Gateway Hotel has a clean & green policy that makes it very enviromentally friendly. The Airport Gateway Hotel is suitable for business and leisure guests with well equipped rooms and a variety of bedding configurations available. A landscaped centre garden with native trees is a feature of this delightful property and there is also an outdoor swimming pool with enclosed spa pool, children's play area, onsite family restaurant and lounge bar with fireplace and a pool table. 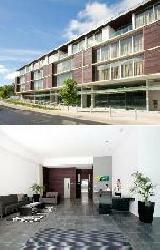 Located in the heart of the very trendy and historical inner city suburb of Parnell these Quest Serviced Apartments are a contemporary style apartment hotel with a focus on quality and comfortable living. Providing a fantastic alternative to traditional hotel or motel accommodation in Auckland the Quest Parnell offers guests the freedom of a spacious fully self contained apartment that has been tastefully furnished to the highest standards. With a choice of studios, 1 and 2 bedroom 2 bathroom apartments complete with fully equipped kitchen, private laundry, WiFi wireless internet connection and air conditioning the Quest Parnell Apartments location places it within close proximity to the Auckland CBD, Newmarket, unique retail shops, cafes and of course Parnell's famous restaurants. For the business traveller there are business facilities at the Quest parnell including secretarial services, photocopy machine, fax machine, computer printing, wireless internet access and conference facilities. This contemporary style Auckland accommodation also features an outdoor heated lap pool with a glass bottom, Free on-site undercover parking, dry cleaning laundry service, luggage storage and gym/fitness room. Ths Quest Parnell Apartments Auckland is only minutes away from Vector Arena, Auckland Domain, Museum, University, the Viaduct Basin, Broadway shopping centre in Newmarket, Kelly Tarlton's Underwater World, beautiful city beaches and the famous harbour. The Quest Apartments on Cintra Lane are centrally located in the heart of the Auckland CBD. They provides both corporate and holiday travellers with the choice of studio, 1 & 2 bedroom self contained apartments that are just minutes from all of the major landmarks and attractions including the Auckland waterfront & harbour, Vector Arena, Auckland universities, museum and galleries, shopping, entertainment, cafes & restaurants. The Quest on Cintra is ideally nestled down a quiet laneway, awsy from the noise of the city centre. Guests staying is this Auckland accommodation can relax and enjoy stunning views of the city and harbour from their spacious apartment and private balcony. All of the fully self-contained apartments are architecturally designed to maximise light and comfort and feature stylish, modern decor. For comfortable, quality accommodation in Auckland at great discount prices look no further than the Quest on Cintra Lane Apartments. This Auckland airport hotel is conveniently located only 2 minutes drive to Auckland International and Domestic airports, which makes it the ideal discount accommodation for both business and holiday travellers. The Travellers International Hotel Auckland provides a range of comfortable and modernised rooms that have been refurbished with stylish decor and all of the amenities that you need to feel right at home. The Travellers Hotel in Mangere, Auckland is positioned close to numerous local attractions, including the Aviation golf course, JK's driving range, the Butterfly House, Maria winery, Rainbows end Adventure Theme Park and Manukau Westfield shopping mall. With services and facilities including free 24 hour airport shuttle, free internet kiosk, free car parking, 24 hour front desk, daily housekeeping, luggage storage, tour desk, family restaurant, spa pool & an outdoor swimming pool the Travellers International Hotel offers budget airport accommodation at great value of money discount rates. The discount accommodation at the Quest Carlaw Park Parnell ranges from quality studio apartments through to more spacious one and two bedroom self contained apartments and penthouses. Located within easy walking distance of the ASB Tennis centre, Vector Arena and many more Auckland tourist attractions the Quest Carlaw Park Apartments is perfect for corporate business travellers, students, families relocating to Auckland and holiday makers. Offering guests a spacious apartment for the price of a hotel or motel room this Auckland CBD accommodation has been tastefully furnished to the highest standards and features air conditioning, King size beds and a fully equipped kitchen & laundry. Quest Carlaw Park provide onsite car parking, daily room servicing, on site reception, airport shuttle, restaurant charge back facilities, valet laundry service, business services, daily newspapers, security and babysitting service. 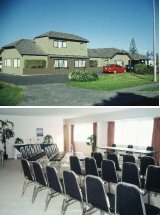 The Quest Carlaw Park Apartment Hotel is the preferred accommodation in Auckland for corporate clients and visitors alike. Nomads FAuckland Backpackers Hostel is a brand new, budget Auckland accommodation that is ideally situated in the heart of the city centre. This beautiful historic accommodation building is full of all the latest mod cons to ensure that the budget conscious traveller or back packer still has a great selection of hotel facilities and activities to keep them entertained. Guests staying at the Nomads Auckland Backpacker Hostel will discover the coolest and funkiest backpacker accommodation in Auckland, which is guaranteed not to break the budget. 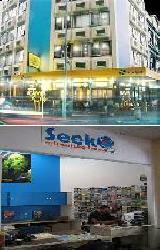 Experience first hand the great service that has made Base Auckland one of the worlds' most famous backpacker hostels. The award winning Base Auckland Backpackers is located in the heart of the city centre, less than 5 minutes walk to shops, cafes, museums, train, bus and ferry terminals. The airport bus (Airbus) even stops right outside the door of this quality hostel accommodation in Auckland. With comfy, clean beds, a modern and secure environment, private ensuite rooms and under bed lockers the Base Auckland is ideal for individuals and groups. When it comes to socializing, this Auckland accommodation is the place to be with nightly entertainment on offer, the Balcony Bar on the 6th floor and New Zealand's biggest entertainment venue the Globe Bar close by. The Base Backpackers Auckland also has high speed wireless Internet, free activities & BBQ, 24 hour reception, security, chill out lounge area, pool table, modern communal kitchen and laundry facilities. 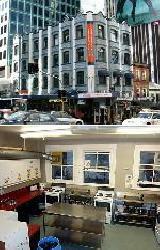 Come and find out why Base Backpacker Hostel is the best discount Auckland accommodation available. The modern and clean backpacker hostel accommodation provided by the Surf 'N' Snow Backpackers in Auckland is centrally positioned in the heart if the Auckland CBD, across the road from the Auckland Sky Tower and moments away from Auckland shops and restaurants. 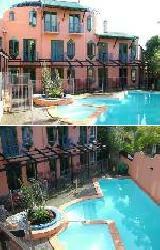 The Surf N Snow Backpackers provides all types of travellers with cheap accommodation in Auckland. It also features a wide range of modern amenities and services such as direct internet access, disabled facilities, faxing facilities, lift, tour desk, bbq, airport shuttle, security, 24 hour reception and daily housekeeping. The friendly reception can also help you with extensive information about the best places to see, eat and shop around the city. Nomads Fat Camel Hostel has been voted New Zealand's Best Backpacker Accommodation by guests in the 2007 Golden Backpacker Awards. This discount Auckland accommodation in perfectly located only a short 10 minute walk away from the Auckland Harbour, the Skytower, Vector Arena, Viaduct, bus station and nightlife entertainment. This wonderful, central location makes the Nomads Fat Camel Backpacker Hostel the perfect place to start and finish your New Zealand holiday adventure. 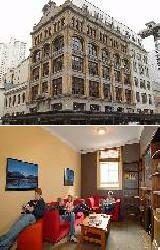 If you are looking for a tourist hotel with character in Auckland then look no further then the Rainbow Hotel Auckland. Formerly known as the Sail City Hotel this Auckland accommodation is perfect for families, couples and business travellers. Situated right near Auckland's world famous Sky Tower the Rainbow Hotel Auckland is also close to numerous restaurants, cafes, shops and nightlife entertainment venues. Within 1 kilometre walk of the Rainbow Hotel accommodation is the Victoria Park Market, Aotea Centre, waterfront and Viaduct Basin, Auckland Town Hall and many theatres. 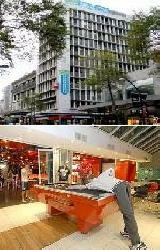 The Rainbow Hotel Auckland really is the ideal discount hotel accommodation in the Auckland CBD. The City Central Hotel Auckland is ideal for the budget conscious traveller, offering discount hotel accommodation in Auckland. The City Central Hotel is conveniently located in the heart of the city centre and only 60 metres from the Auckland Casino and the Aotea Centre. When you stay in this affordable Auckland accommodation you will not only be able to walk to most places in town but you will also be able to use the hotels travel desk to book tours, guest lounge to watch Sky TV and guest laundry. 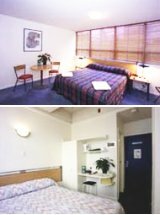 Great value Auckland accommodation for those people looking to stay in the heart of the CBD on a budget. The Portage Peninsula Hotel in situated in Avondale, only 9 minutes from the Auckland CBD and 2 minutes from one of Auckland's largest shopping malls. 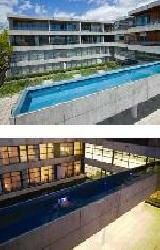 The hotel features an in-house casino, swimming pool, gymnasium, spa, guest laundry and BBQ area. This affordable Auckland accommodation is next to the Avondale racecourse and only 5 minutes from beautiful Eden Park. 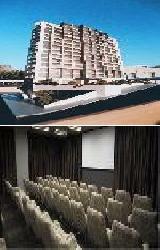 For luxurious Auckland hotel accommodation stay at the Ibis Hotel in Ellerslie, Auckland. This wonderful hotel boast many features including security access to all rooms, complimentary car parking, individually controlled air-conditioning, Sky TV, gymnasium and conference facilities. The Ibis Hotel Auckland is adjacent to the Ellerslie Convention Centre and only 1km to the Auckland Showgrounds and Expo Centre. 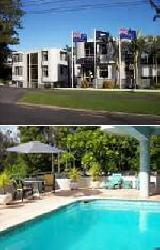 The Waldorf Apartments at the Botany Downs Park is a unique, well located, quality accommodation complex which specializes in both short and long stay furnished apartment accommodation in Auckland, New Zealand. The Botany Waldorf Apartments is located directly opposite Botany Town Centre and the Hub Shopping Centre offering a wealth of shopping, dining and entertainment options. The modern furnished apartments at the Waldorf On Scene provide Auckland accommodation suitable for both long and short term stays in New Zealand's biggest city. The Waldorf On Scene will establish a new value for money standard for Auckland's apartment accommodation for both business travel, Auckland vacation rental and Auckland corporate apartment accommodation. The Auckland Airport Pacific Inn provides spacious unit accommodation only 3 minutes from the Auckland airport. With free 24 hour airport transfers, free car storage, on-site restaurant & bar and internet facilities this discount Auckland accommodation is the perfect place to stay. The quality hotel accommodation at the Best Western Gateway is just 5 minutes from the Auckland Airport and includes a 24 hour reception, conference facilities, restaurant, bar, free 14 day parking and a free 24 hour coutesy coach. Great value Auckland Airport accommodation for your next stay in New Zealand's largest city. The Budget Travellers Inn is the ideal accommodation for the couple or individual looking for a cheap place to stay in Auckland. Walking distance to the shops, cinema, cafes and rainbow's End as well as being only 15 minutes from the Auckland airport with a free airport shuttle the Budget Travllers Inn offers exceptional discount Auckland accommodation. At the Hotel Grand Chancellor Auckland the facilities include a licensed restaurants, full room service, conference facilities, swimming pool, sauna, gymnasium, bbq area and guest laundry. This luxury Auckland hotel also provides a 24 hour airport shuttle and a large variety of hotel accommodation rooms and fully self contained suites. Situated only 100 metres from the beautiful Mission Bay Beach this affordable Auckland accommodation features Sky digitial TV, off street car parking, guest laundry and ironing facilities. The Aarangi Mission Bay Beach Drive Motel is also just 10 minutes from the Aucklanc CBD, ferry terminal to Waiheke and 5 minutes from kally Tarlton's Underwater World, ASB Stadium, Tamaki Yatch Club and many shops and restaurants. The Abaco Spa Motel & Apartments are ideally located close to the city centre, casino, Aotea Centre, Ponsonby restaurants, specialty shops, supermarket, Westhaven and the beautiful waterfront. Located in Ponsonby in central Auckland this discount motel and apartment accommodation is perfect for both short and long term stays. The quality accommodation units at the Astor Motor Inn in Ellerslie all have cooking facilities, underfloor heating, daily servicing and access to the spa, sauna and gymnasium at the hotel. This self contained discount Auckland accommodation is situated 1 minute from the Ellerslie Racecourse and Central park corporate business park, 3 minutes from the Alexandra Park, Showgrounds and greenland Hospital, 6 minutes from the Downtown city centre and only 15 minutes from the Auckland Aiport. Auckland's Motel Westhaven is close to the city but out of the fast lane. With a tranquil central location close to Ponsonby & Herne Bay restaurants and 5 minutes to the Auckland CBD, America's Cup Base, marina and Auckland casino these self contained serviced apartments are a great place to stay. The facilities at the Motel Westhaven include full kitchen & laundry facilities, heated swimming pool, spa, bbq area and easy acess to public transport and the motorways. The well appointed Auckland accommodation at the Barrycourt Suites and Hotel is located in desirable Parnell and is set in spacious park-like grounds. The hotel rooms provide comfortable discount accommodation while the 1 & 2 bedroom serviced apartments have full kitchen facilities and grand views of the harbour and Auckland city. The comfortable and spacious units at the Blue Star Lodge provide great value self contained apartment accommdodation in Auckland and are centrally located in Newmarket, close to the Auckland city centre. Also with fully equipped kitchens, spa pool, conference facilities and the Epsom showgrounds nearby the Blue Star Lodge is ideal for your next family holiday or corporate business trip to Auckland. The Botany Motor Inn is a new, modern complex of luxury business and executive style accommodation suites located only 15kms from the Auckland Airport and 400 metres from the Botany town centre with it's many shops and restaurants. 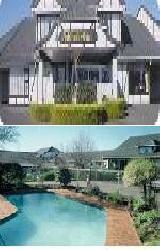 This is also internet acess and private spa baths available at this quality Auckland accommodation.